For six months out of 2017, Darren and I, Margie, had a total of six kids we were parenting who, between them, had multiple needs which required us to be in a stage of constant high alert. We were never able to fully relax when children were around, which was pretty much always. In December, two of them moved on to a different home, and we realized just what a toll those six months had taken on our body. For almost two weeks, we felt a constant desire to sleep. As we were able to let our guard down just slightly, our bodies let us know that they did not appreciate the beating they had taken over those six months. Parenting is stressful, but parenting children who have experienced complex trauma, and who need high levels of supervision as a result, leads to parents being in a constant state of high alert. If this goes on for an extended period of time, the caregivers begin to have some of the same physical and emotional responses that have occurred in their children. What are some physical and emotional issues seen in caregivers? Foster children are nearly twice as likely to develop PTSD than active combat veterans. Caregivers can experience prolonged exposure to the traumas their children have endured, or experience several traumas themselves related to fostering or adopting, and begin to show symptoms of PTSD such as intrusive thoughts, negative thoughts and feelings, avoiding reminders of trauma, and symptoms of being on high alert. Caring for a child who has experienced trauma over a long period of time can be very heartbreaking and emotionally challenging. If you have started to lose compassion for your child’s history, you may be experiencing compassion fatigue. Compassion fatigue symptoms include chronic physical and emotional exhaustion, depersonalization, feelings of inequity toward the therapeutic or caregiver relationship, irritability, feelings of self-contempt, difficulty sleeping, weight loss, headaches, and of course, decreased compassion. Caregivers can begin to feel hopeless and helpless about their child’s situation, healing, behavior, or growth. Parenting comes with an endless list of things to worry over, and fostering or adopting can add more weight or items to that list. Ongoing stress, continuous sensory input (nonsense chatter, constant loud noise, etc.) 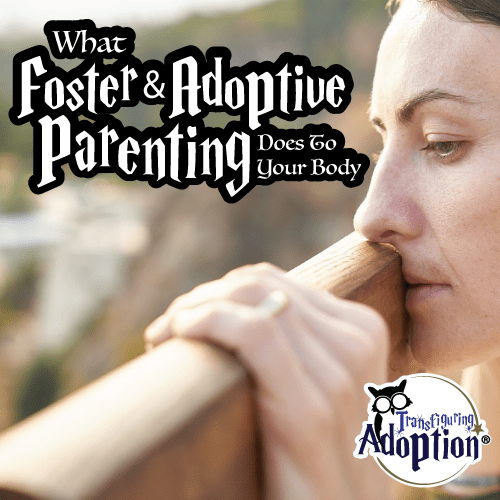 coming from a traumatized child, constant battles with health, education, or government systems to advocate for a child, and so much more start to wear on foster and adoptive parents leaving them irritable, overly emotional, or short-tempered. Higher, sustained levels of stress lower the body’s immune system, resulting in more frequent illness. It can cause weight gain, heart disease, body aches, fatigue, nervousness, sleep disturbances, digestive problems, and other physical issues. Withdrawal is common among caregivers. It could be due to a lack of energy, lack of time, or an inability to relate any longer to others in their social circles. Sometimes it’s because it is too difficult to go anywhere with children who are triggered by situations outside of the home environment. Caregivers at times will withdraw themselves emotionally in their home as well due to a lack of reciprocity from the child, and they begin to feel more like they are just fulfilling job duties instead of being a nurturing parent figure. While withdrawal is often a choice of an individual, isolation results from those around someone removing themselves from the individual’s life. It may be that friends with children begin to stay away as fears creep in that being around your child will negatively impact their children. Maybe folks stop hanging around because there is sometimes a lot of drama involved with fostering and adopting. Yet others begin to question caregivers because they don’t see the same behaviors that the parents see at home, and out of lack of knowledge about trauma and attachment, they begin to suspect the caregivers are the problem. Do you seem to constantly be at a heightened state of alert? Do you jump at every sound and run to investigate? Does any movement out of the corner of your eye cause you to twirl around to check for safety? This is all very common in traumatized children, but caregivers often start to respond the same way, even when the children aren’t around. Many of these conditions overlap, some are symptoms of others, and they are all on a spectrum from mild to severe. Will all foster and adoptive parents develop these symptoms? No, but many will have some degree of some of the aforementioned physical and emotional responses. It depends greatly on the needs of the children in a home, the intensity of the needs, and the number and ages of the children. When caregivers experience these negative impacts on their well-being, their parenting and relationships with children and others are adversely affected. What can caregivers do to minimize negative effects on their physical, mental, and emotional wellbeing? Caregivers of children who have experienced trauma often find that traumas they experienced and thought they had dealt with are triggered by their interactions with their children. Finding a therapist who is well-versed in trauma can be helpful in processing past trauma in order to find healing and be available to parent better. Other times it is necessary to find a therapist to help talk through difficulties in parenting a child and gain insight into the child’s behavior and how to parent more effectively. Find support groups locally or online or find an experienced mentor to walk alongside you on your journey of parenting. While talking to friends and family can sometimes be encouraging, finding others who are experiencing similar triumphs and challenges through fostering or adopting provides the validation and information needed for success. Develop a stronger support system. Think about areas in your life in which you could use help in order to free up your mind, time, and energy for caring for your children. Is there a volunteer (or paid if budget allows) tutor who could take the added pressure of helping your child academically off your shoulders so you can focus on relationships? Is there someone who can pitch in with carpooling? Can a friend help you prepare food in bulk and freeze it for easy dinners? Many churches and communities are developing ‘wrap-around services’ where they find and train folks to do these types of things for foster and adoptive families. Each family has a team around them, and each team member is responsible for a different area of the family’s life (childcare, food, housework, encouragement or prayer, carpooling, etc.) Reach out if you need help! I have yet to find a caregiver who has nailed this well consistently. It helps to be creative. It’s not always chocolate, wine, or a bubble bath. What “fills your cup” so to speak and energizes and revitalizes you? The tendency for caregivers is to neglect themselves to the point that nothing fills them up any longer, and they become less and less effective or therapeutic in their parenting, resulting in a damaged, resentful relationship with the child(ren). Celebrate and recognize small victories and changes with your child to combat depression, anxiety, and other negative emotions. Often caregivers wait until they have reached their limit before seeking help or taking a new course of action. Being proactive at the first signs of trouble will help reduce chances of consequences like placement disruption or other major impacts to the family’s wellbeing. We are here for you! 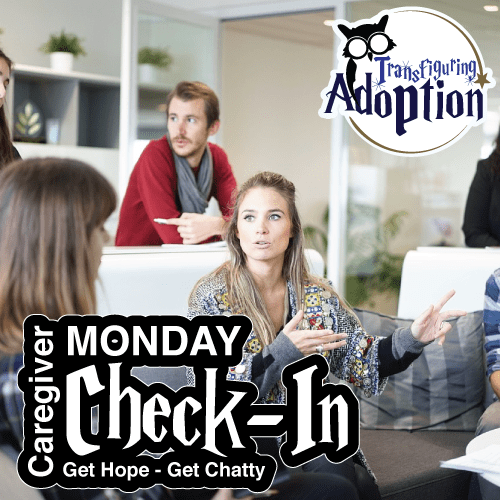 Join other parents in the trenches during our [Monday Caregiver CheckIn] live each week on Facebook at 8pm EST! Think about these questions and possibly discuss them with a co-caregiver, trusted friend, or a professional, OR begin a discussion here with other caregivers. Have you experienced any of the negative impacts listed above through foster or adoptive parenting? Is there any negative impacts we failed to mention? What have you found helpful in reducing negative effects on your wellbeing? What steps can you take increase your wellbeing and your relationship with your child? 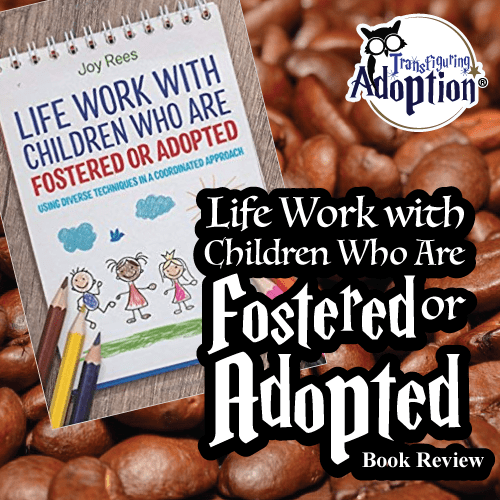 “This new book from life work expert Joy Rees explains the value of effective and meaningful life work with children who are fostered and adopted, and how best to carry it out. This book provides caregivers and professionals with information about life work (also known as life story books, life journey work, etc). The author breaks down the specifics of the definition of the term life work, as well as going into clearly understood purpose for the importance of a life story book. She states, “The fundamental purpose of life work with all children in care is to help them understand their history and to gain a sense of their identity.” Next, Rees explores theoretical framework, having “thorough knowledge of child development, including brain development, attachment theory, and developmental trauma.” Each stage of developmental age is explored in relation to how to tackle life work at the different developmental stages, what is developmentally appropriate. The next section in the book discusses the importance of the child’s team and their knowledge of their story/development/life details. These important people in the child’s life can help make sure every detail they know can be recorded and documented for the child’s life work. The information gathered can really help the child put the pieces together in the future, pieces of their story that they may not have any information about. This section of the book seems to have the most detailed examples of what can be used to create life work for a child: Preparation and processing, observation, listening, and play, memories, memory books, and boxes, photographs, life journey work, therapeutic stories, child appreciation days, life story books, later life letters, contact, and finally, adoption and care records. The appendix in the book has sample questionaires for caregivers/case workers to fill out, sample later life letters, and suggested reading lists for adults and children. 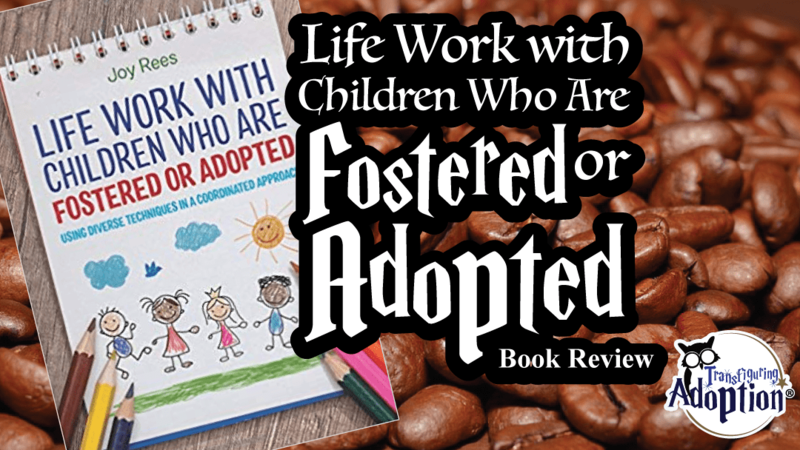 This book has done a wonderful job of explaining the why’s as well as the how to’s to help professionals as well as caretakers help create life work for children in foster care or adoption. It stresses the importance of coming together as a coordinated team for the sake of the child’s story, helping the child have a more thorough documentation of their past, for them in the future. 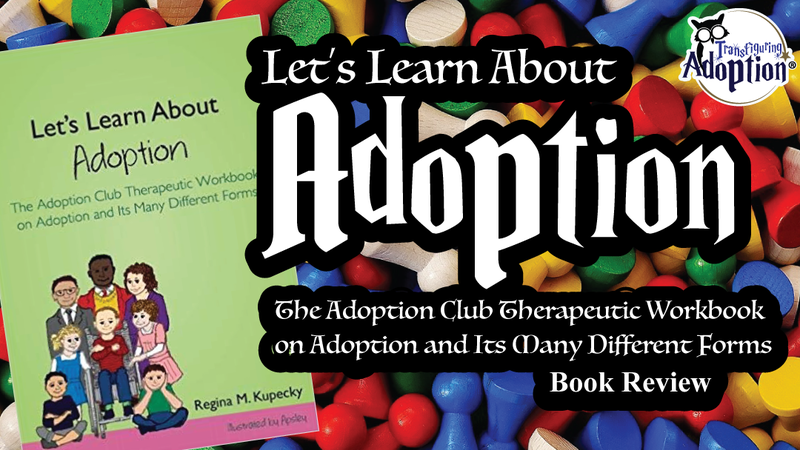 A quick and easy read, this book is for sure worth sharing with others in the adoption and foster care community. 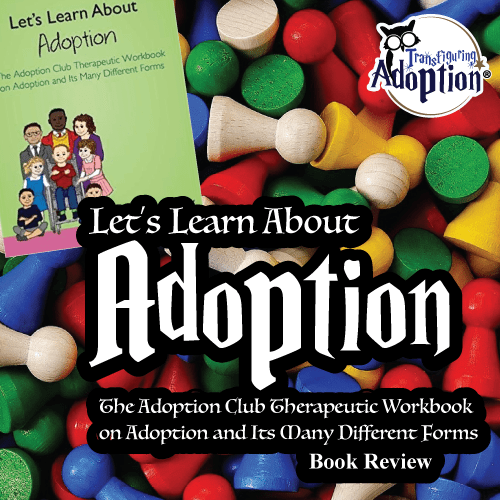 It isn’t just perfect for the foster/adoptive family but also therapists, case workers, judges, teachers, etc.